Precision Temperature/Humidity meter. 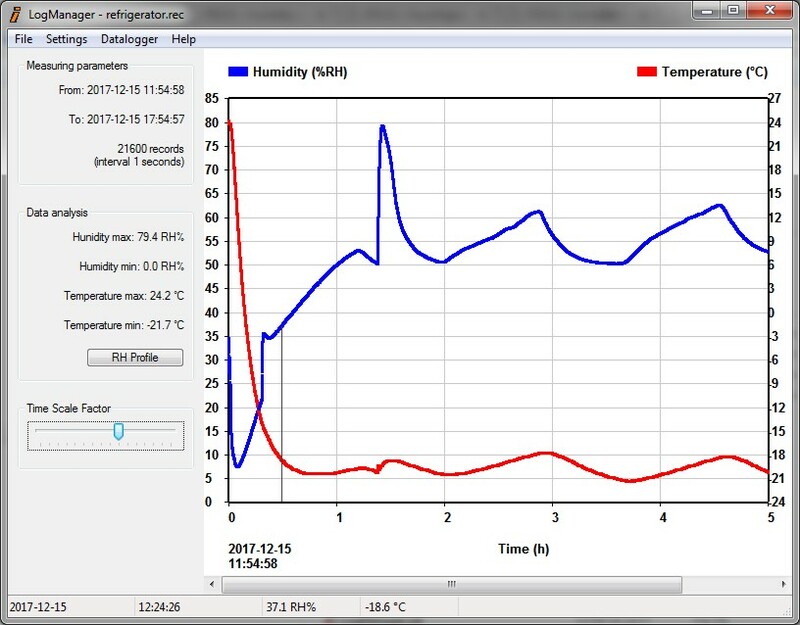 It is also a datalogger used to collect environmental data of humidity and temperature and to transfer them to a Windows PC. 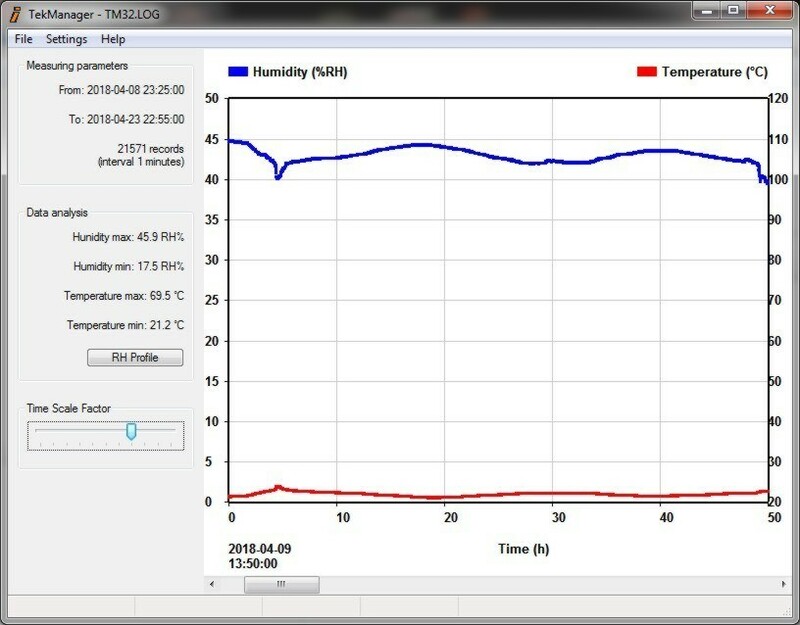 The LogManager software, working on Windows XP/7/8/10, used for downloading, displaying, analyzing and reporting your collected humidity and temperature data is included. 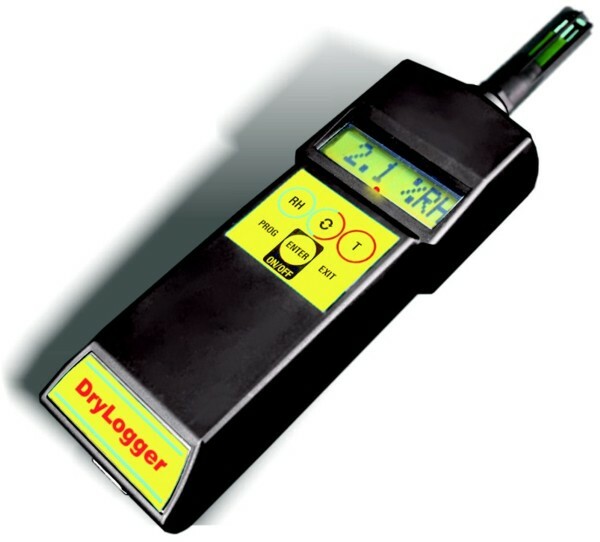 9265.302 DryLogger, Humidity/Temperature hand LCD datalogger. 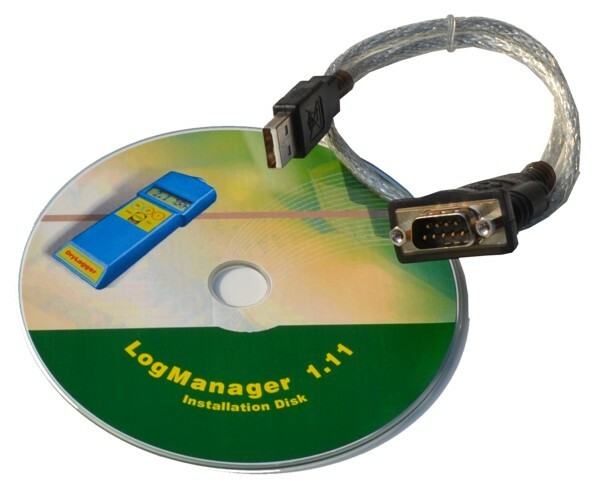 USB cable and LogManager software to collect data to Windows PC are included. 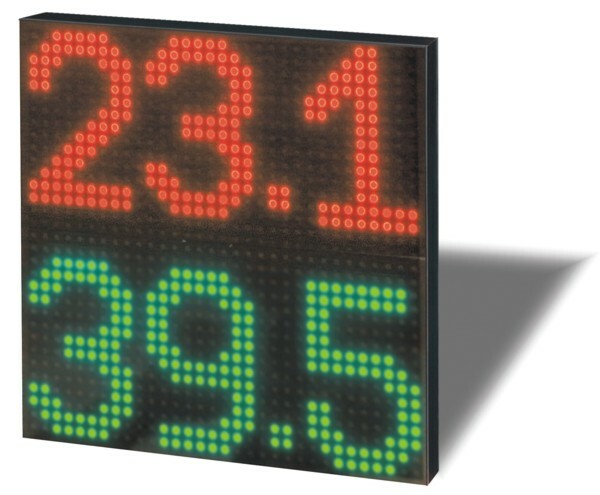 It monitors simultaneously humidity, temperature on his large display, and alerts the engineers to check and repair the facilities immediately when the settable HIGH or LOW limits of RH/T are exceeded. When the alarm is active, its output relay can activate an emergency circuitry. 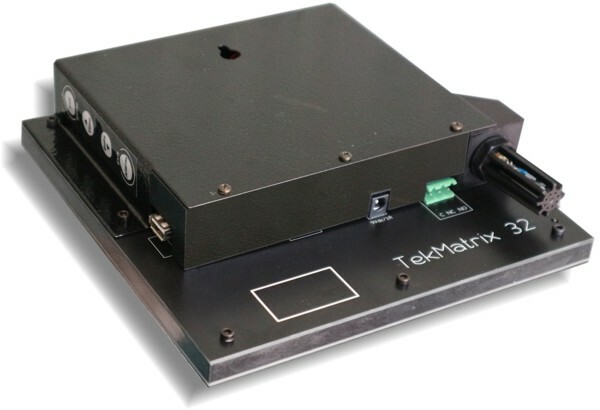 The internal datalogger samples the environmental data of humidity and temperature that can subsequently be transferred to a Windows PC via USB or Ethernet interface (the “TekManager” software is included). The instrument sensor can be hooked to the display or positioned externally. Can be set to fixed display of RH/T or alternate it with date and time. Pen continuously and simultaneously displays both RH and °F/C with dual-recall memories. Handy pocket clip makes it easy to carry. Memory displays highest and lowest humidity/temperature readings.